- All supporters must have a registered Kroger Plus card account online to be able to link their card to an organization. 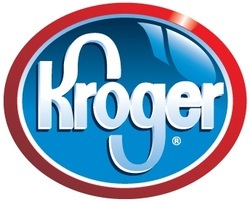 - If you do not have a Kroger Plus Card, you can obtain a digital Kroger Plus Card when creating an account online or at any Kroger store. - If you have an existing account, click on “Sign In”, otherwise click on “Create an Account”. - You will need to enter your email address, create a password, enter your zip code, click on favorite store, and agree to the terms and conditions. - Once you are done entering your information you will get a message asking you to check your e-mail inbox and click on the link within the body of the e-mail that was sent to activate your Kroger account. - Enter your email address and password and click on “Sign In”. - Click on Community then on Community Rewards” then click on enroll now, complete personal information, click on save. - Select your organization and click on “Save”. - To verify that you enrolled correctly, you will see your organizations name on the right side of your account settings page.